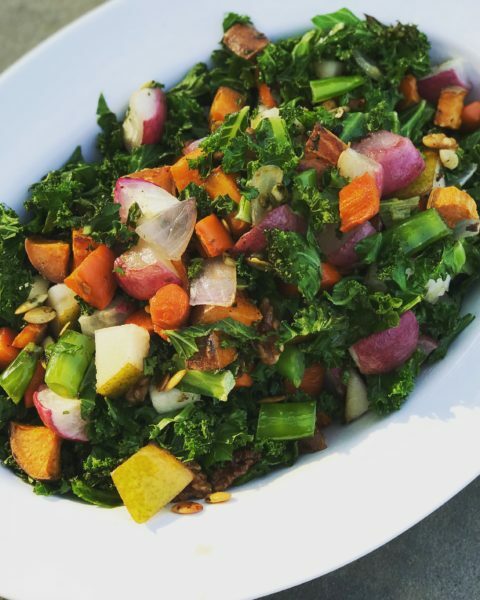 This beautiful salad is a great way to sneak in some extra vegetables and nutrients! Our son is more inclined to eat it because of the little sweetness provided by the sweet potato and fruit. While we prefer to eat it as the main dish, it can also be served as a side. Simply dress with olive oil, salt and pepper! We are always looking for vegan options for easy weeknight meals as a way to lower our meat consumption. This simple and healthy dish can easily be tossed together within minutes. Did I mention you can freeze the cashew cheese to make this dish even quicker? This simple salad dressing is a light and refreshing option for a summer salad! The mango flavor pairs well with many grilled proteins, avocado and is a delicious topping for grilled pork, salmon or chicken kabobs. Not to mention, mango and red onion are fantastic sources of quercetin, which inhibits glutamate release and a natural mast-cell stabilizer.